I am very pleased to announce that i have an online exhibition @ Owlstand.com called ‘Dawn of revival’. Molenaar’s artworks draw on geometry and architecture in a refreshing way, representing the shapes and nets as something entirely new to an audience. His painted works almost juxtapose the sharp vectors of the shapes against the softer brush strokes and more delicate colours of the abstract sections of the paintings. An audience is invited in to explore the more fluid elements of the work and discover the strong subject matter beneath. Molenaar invites us to pull these shapes out and question their relation amongst his other sculptural works, which often stand alone in their confident statement about contemporary architecture. Molenaar’s multifaceted work is situated on the edges of art and architecture. Working with sculpture, photography and paintings, he connects these (and other) media within a common architectural theme. The basis for his work is a fascination for construction, what he sees as a significant element in our everyday world. Jeroen raises questions of public space and its infrastructure, of boundaries between functionality and the autonomy of an object, forms and structures. 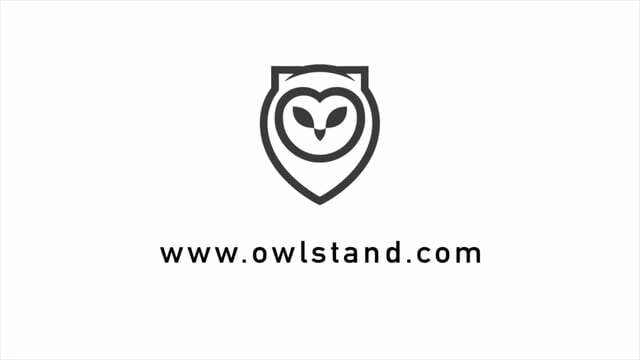 Owlstand’s aim is to display the beauty of classic and contemporary artwork online.With a goal to set up a new standard for online exhibition, we re-think the digital space. With a brand new, simple viewing experience, we want to provide a real opportunity for everyone to enjoy art from all walks of life. This exhibition is also featured by wetransfer. One painting was for a period of time a wallpaper @ Wetransfer.